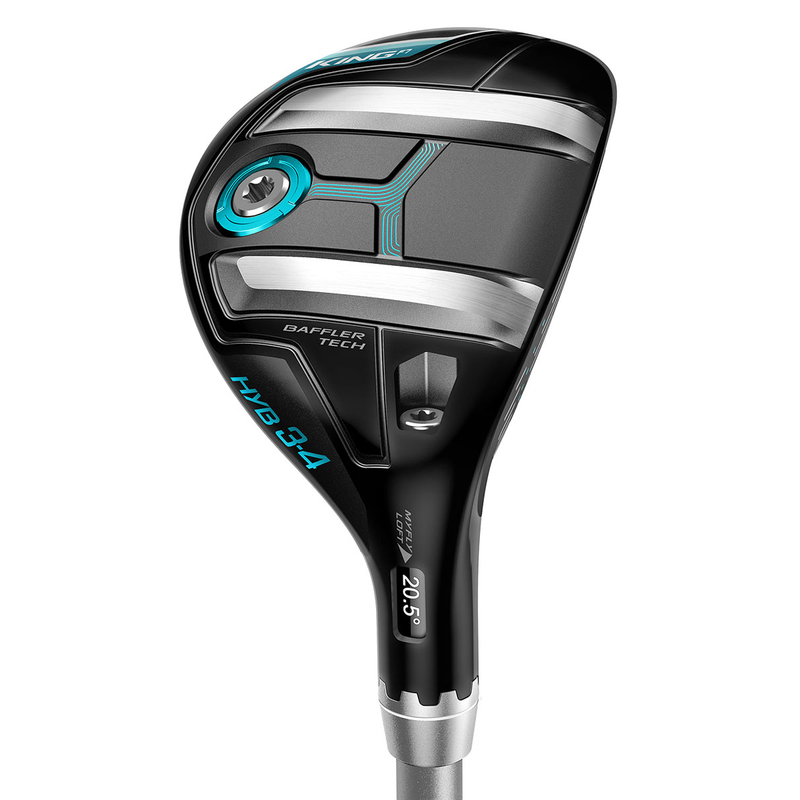 Whether your hitting off the tee or turf, this excellent hybrid is easy to launch and offers brilliant distances. 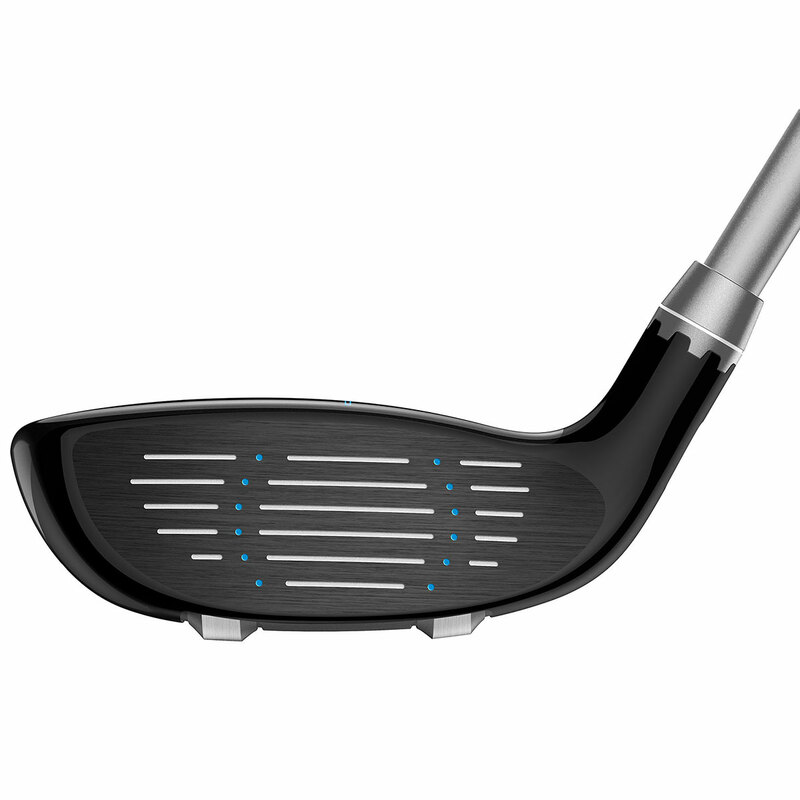 Each hybrid has dual rails that are designed with optimised height to ensure maximum performance benefits. The new design accommodates steeper attack angles with steeper rail height to enhance turf interaction and reduce digging. 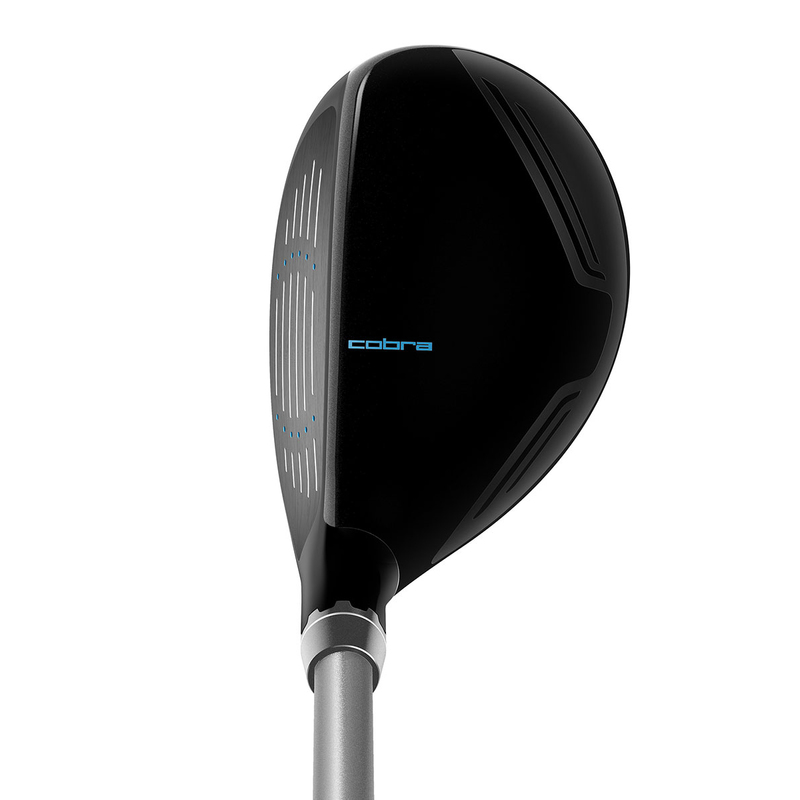 Helping produces a high, towering ball flight for extreme distance and forgiveness is a single fixed weight positioned low for a deep centre of gravity. 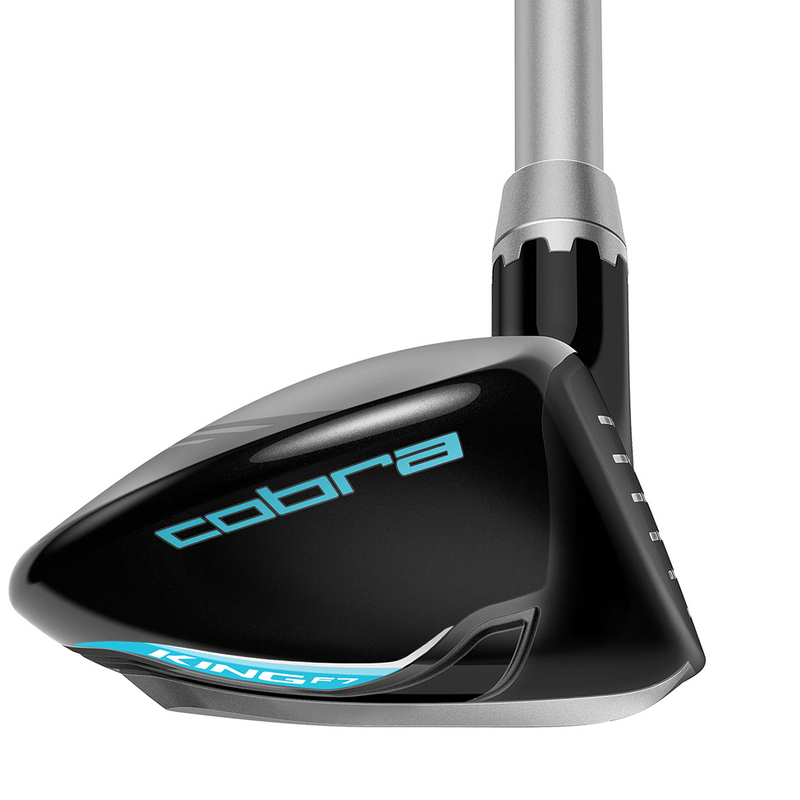 Lighter, thinner forged 455 steel face maximises face flexing for faster ball speeds and distance on off centre hits. Thanks to the sleeve technology, you are able to easily adjust eight loft settings to manage trajectory and fine tune launch conditions. The rails have been designed to minimise contact point on the ground which acts as a Smart Pad to maintain a square club head at address regardless of the loft setting. 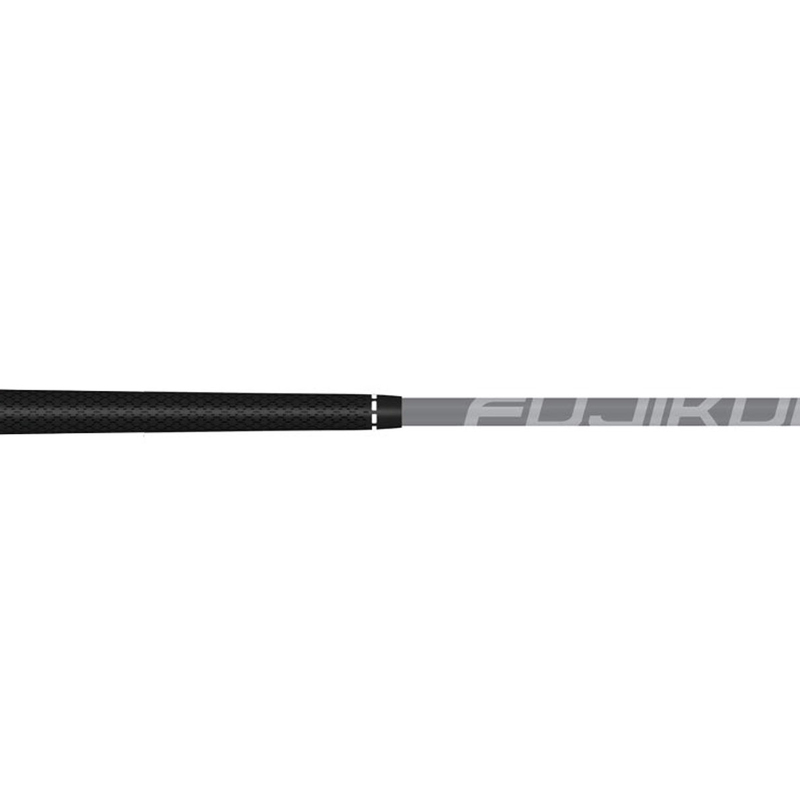 This King F7 hybrid also comes with its own branded head cover.